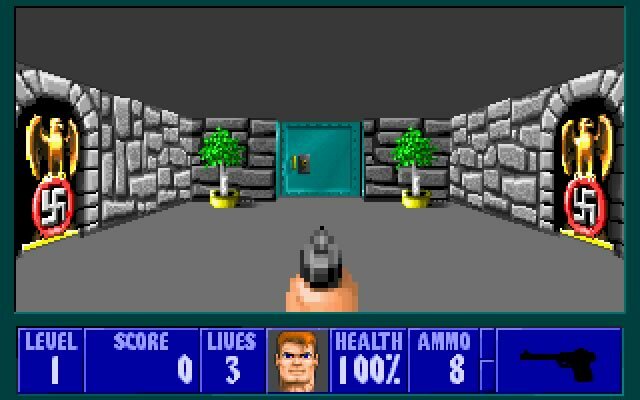 Apogee released Wolfenstein 3D in the year 1992; it's an old shooter game, part of the Wolfenstein 3D series. 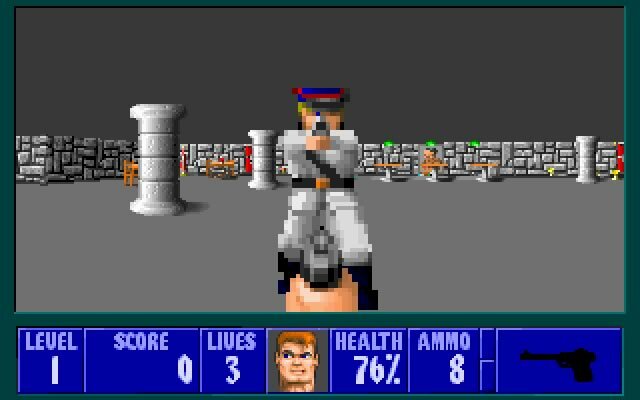 Wolfenstein 3D is freeware, runs on DOS and can be played in single player mode. It's available for download. 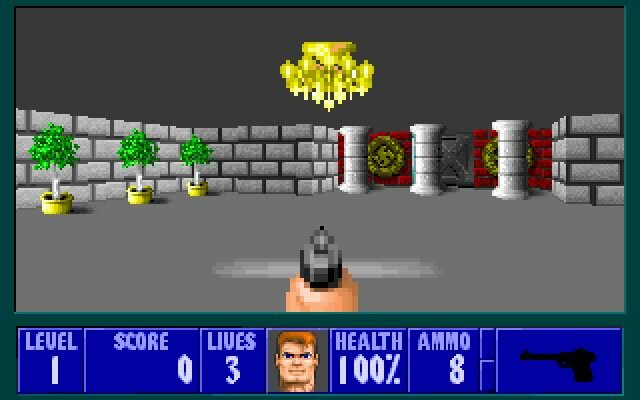 This was the grandfather of FPS (First Person Shooter) games... Then came Doom.... This game was so much fun to play brings back a lot of memories. Download and give it a try find all the secret treasure, guns, ammo, health packs. Press on walls, pictures, etc to open the secret passageways. 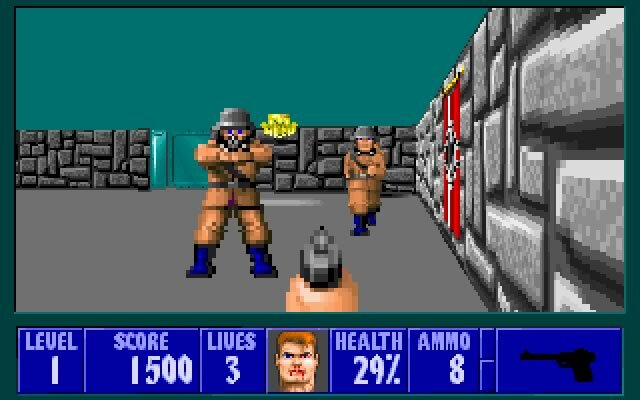 Tell others what you think about Wolfenstein 3D: did you play it? Did you like it or hate it? 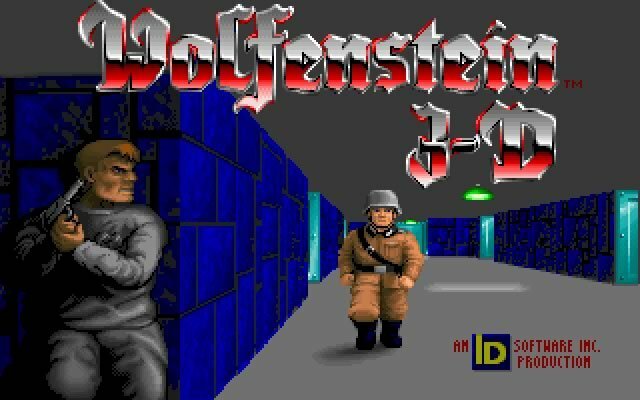 If you have problems running Wolfenstein 3D, please read the F.A.Q. first. Your e-mail will NEVER be used for spam. 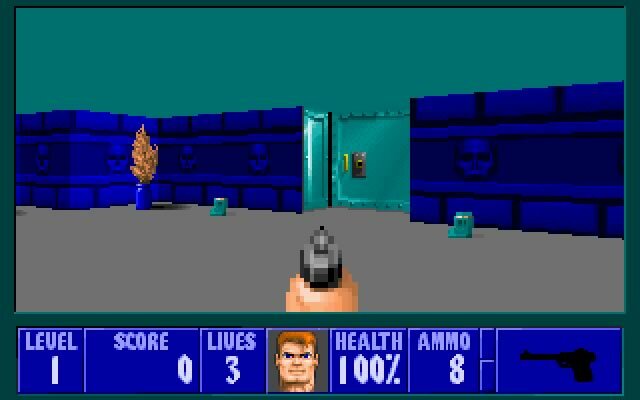 1993 - Best Action/Arcade Program, CODiE Awards.